Do you know as much about theory and flight as an 18-year-old? At the 1974 S.O.A.R. Nats (See page 12 for the contest story), a new and innovative award was added to the many laurels a contestant could garner. This was the Felix Pawlawski Memorial Trophy, awarded to the Junior/Senior who scored highest on the following exam, and also placed within the top 20% in flight scores. Gordon Pearson, prime motivator for the award, presented the test in cooperation with the University of Michigan Department of Aerospace Engineering. Gordon, who helped design and write the exam, had numerous requests from other contestants for copies. One glance at the questions showed the test to be a real mind-bender, and something to be shared with everyone. Here's your chance to find out if you're as knowledgeable as the University of Michigan thinks a pilot under age 19 should be. Alan Druschitz scored 9 out of 10. He also flew a 2-minute Precision round of 2:01 with a 100-point landing, just to give you an idea of this young man's mettle. This is a closed-book exam. No cheating - it's on the honor system. Answers next month (shown at bottom of page). 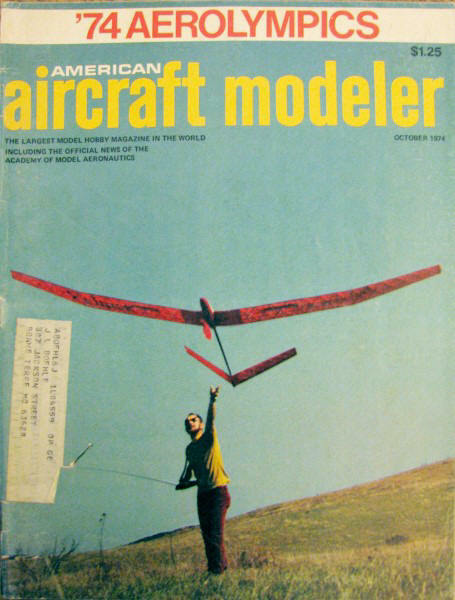 (4) A model sailplane is flying with a steady horizontal speed component of 30 ft./sec. It has a sink rate (downward speed) of 1 ft./sec. The weight of the model is 10 lb. Estimate the aerodynamic drag. I managed to get a score of 10, but calculating #4 was a real shot in the dark. Since I have not committed the formula for aerodynamic drag to memory, I figured the quiz creator would be kind and give only information necessary to answer the question. Since the aerodynamic drag has units of pounds and the weight of the sailplane is given in pounds, the multiplication (or division) term must be unitless. There are two parameters provided with units of feet/second, so in order to cancel units, it is necessary to divide them (as opposed to adding or subtracting). I reasoned that a better glide ratio indicates lower aerodynamic drag, so dividing the model weight by the glide ratio (30:1 in this case) results in a quotient that gets smaller as the glide ratio gets larger. I did 10 lb / 30 = 1/3 lb. Voila! Question 6 might need some explanation. Volume is a cubic function of length, so scaling all the length dimensions by a factor of 1/2 results in a volume scaling factor of (1/2)^3 = 1/8. Since the same materials are used throughout, density (weight/volume) is constant is the scaled-down model. To get the answer, multiply 800 * 1/8 = 100 lbs. Answers to the other eight questions are pretty straight-forward to anyone familiar with general flight physics. Here are the answers to the Sailplane Quiz which appeared in last month's AAM (page 50). If you didn't take the quiz, don't peek at the answers, but go back and try the questions. 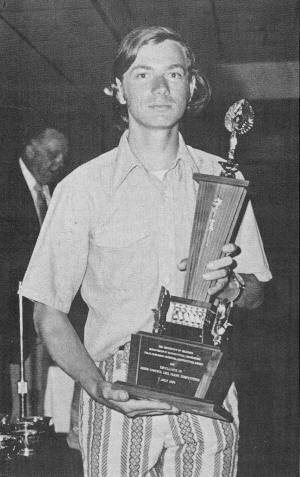 An 18-year-old, Alan Druschitz, got nine out of ten correct. How did you fare?